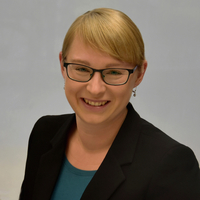 Dr. Sandra Wienke is a post-doctoral researcher and deputy manager of the HPC group at RWTH Aachen University. She earned her doctoral degree in Computer Science from RWTH Aachen University, Germany, for modeling the productivity, total ownership costs and software development efforts in HPC. Her research interests include high-performance computing on parallel heterogeneous architectures. To this end, she is especially interested in the analysis of development productivity, cost effectiveness and performance of various programming models (e.g., CUDA, OpenACC, OpenMP) on many- and multicore systems. Since 2013, Dr. Wienke engages in the SPEC High Performance Group (HPG). Furthermore, she provides support for parallel programming to researchers at RWTH Aachen University and gives regularly lectures and courses on this topic at universities, workshops and conferences.